Finding your target audience is an important first step to successful online marketing. If you don’t know who you are selling to, it’s hard to read their mind and design a marketing strategy that delivers results. Sending a large amount of traffic to an untargeted audience is like throwing mud at a wall hoping that it will stick. You can easily waste a lot of time and money driving traffic to a website which is just like hundreds of others, instead of to one which is unique and is targeted to a clearly defined target market. The first and simplest way to find your ideal target audience is to meet with three or four of your best customers and have a conversation with them. Ask them how they first found out about your business, why they approached you instead of other similar businesses and what made your business stand out from the rest. Find out where they spend most of their time online, whether it’s forums, Facebook, Twitter, Instagram, Snapchat, Linkedin or any other social media accounts. Also find out which magazines, trade publications, books or newsletters they read. Aside from this, demographic factors such as age, income levels, family status and where they live are important factors to take into account when profiling your target audience. If you don’t have existing customers or want to enter a new market, one of the fastest ways to find out your ideal target audience is to carry out an online survey using free tools such as Survey Monkey or Google Docs. 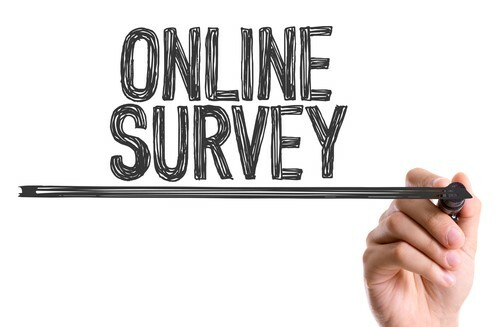 You can also add an online survey to your blog. Use multiple choice questions to make it easy for respondents to reply. Ask a few open-ended questions to find out your target audience’s fears, frustrations, hopes and desires. This information will help you create compelling and targeted content for your web and online properties. Doing so will improve engagement levels, increase conversions and avoid tyre-kickers from wasting your time. Everyone’s time is precious, and remember to offer respondents an incentive such as a Free Report or cheat sheet they may find useful. You can use the help of your web marketing services provider for assistance in creating your giveaway. Alternatively, you can offer to share the results of your survey, if you feel this could be of interest to them. Facebook has a useful tool called Facebook Graph search which is one of the best resources to gather information about your ideal target audience. 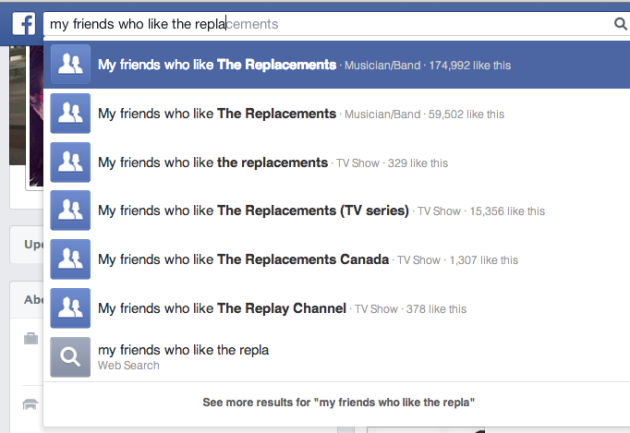 Log in to your Facebook account and click in the search bar above your posts. You will be presented with a whole list of options, such as; People I May Know, My Friends, Photos of My Friends, Music I May Like and so on. This will present a whole list of additional information such as Basic Info, Work and Education, Likes & Interests. Here’s where it becomes really interesting. You probably know a lot about your friends, and want insights into people who are not your friends. Simply scroll over to the Friendship tab and change the setting from My Friends to Not My Friends. If you’re looking for people in a specific niche, such as Real Estate Brokers, head over to the Work and Education filter and under Position, input, Real Estate Broker. You will see the profiles of hundreds of real estate brokers. Click on the additional filters and you can find deep insights into your target audience in minutes. Business is all about solving people's problems and helping them to get the solutions and results that they want. Here are some ways internet marketing services providers suggest using to crawl into your ideal target audiences mind so you can match your marketing messages to resonate with them. Review blog comments on blog posts that are also serving your target market: Look up the problem that you're trying to solve and read some popular blog posts to see what the comments are in those posts. What questions people have after reading the post and what kind of content could you create that would answer the questions that nobody else is answering. Use search engines: When you go into Google and start typing in your question Google auto-populates the rest of the question with some options of what you might be trying to ask. These are called long tail keywords and are indicators of what kinds of questions people are already asking. Review Customer Emails: Take a close look at the emails people are already sending you. The language they use is exactly the kind of tonality they want you to use in your marketing messages. The questions you receive also reveal their frustrations and areas they would like help with. Read Books By Entrepreneurs: Some entrepreneurs do a really good job of relating to their target market. You may have bought some of these books when you first began your career. Pay attention to the chapter titles, language and problems they help solve through the content of their book to get insights into your target audience. These are some simple and low-cost ways which web marketing services recommend to find your ideal target audience and read their mind, which makes it a lot easier to target marketing messages accurately and increase conversions for your online marketing campaigns.